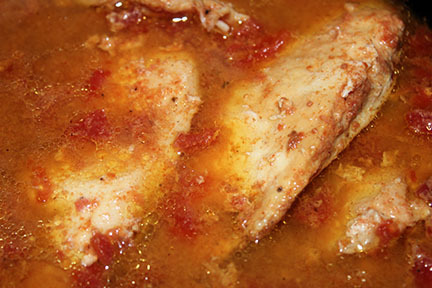 Place the diced tomatoes in your crockpot and top with the chicken stock. 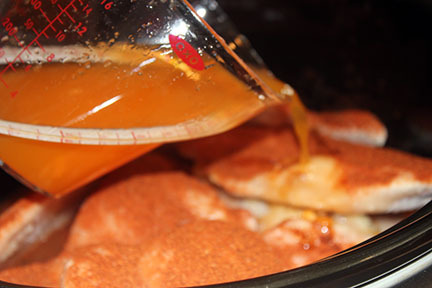 Season your chicken very generously with the Taco Tuesday and place chicken in the crockpot. Finally add the citrus juice. 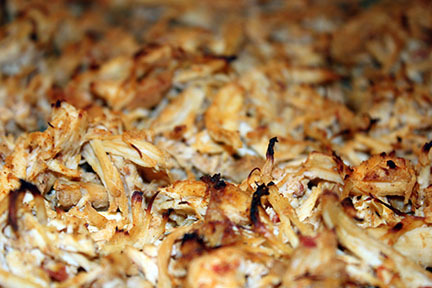 Put the lid on and cook on low for 6-8 hours. 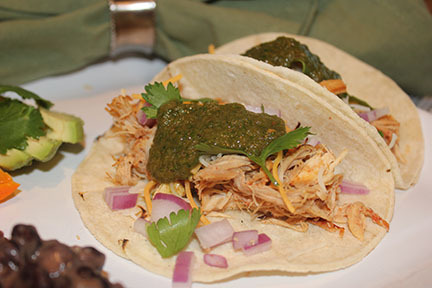 The Taco Tuesday is a fantastic blend of Mexican flavors! It will make your mouth water!!! I have used it on everything from chicken, pork and fish! 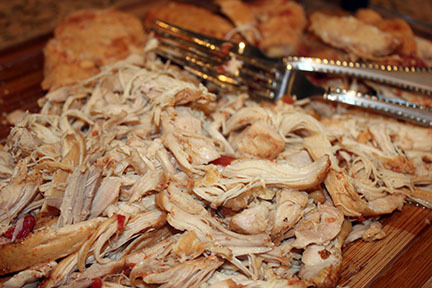 Remove chicken pieces from crockpot and place on a cutting board. 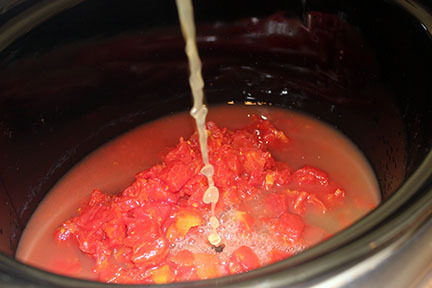 Save a 1/2 cup of the remaining cooking liquid. 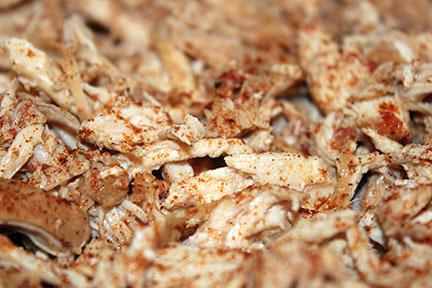 Using two forks shred the chicken meat, add 1/4 cup of cooking liquid and place on a sheet pan. Sprinkle with a tsp of additional Taco Tuesday Bake this for about 10-15 minutes until you can see some pieces have crisped up and are browned. If needed, add the remaining 1/4 cup cooking liquid. 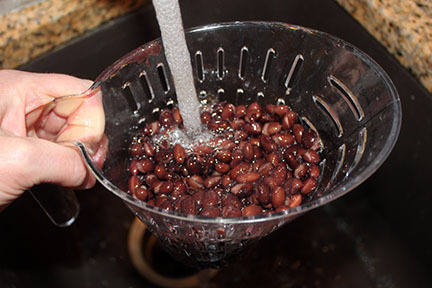 Rinse your black beans under running water to remove the starchy liquid. 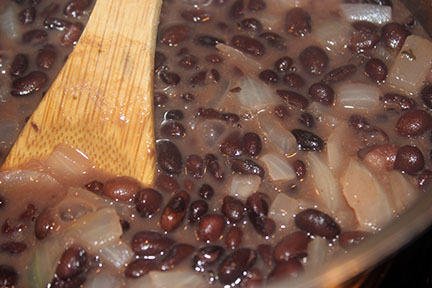 Place in sauce pot and add the onion and cover with fresh water. 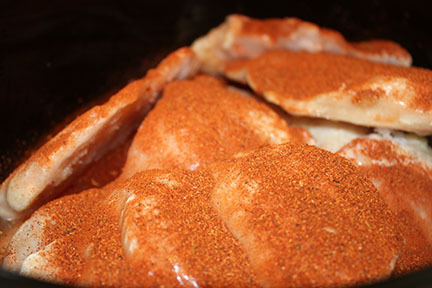 Add the Honey Chipotle Seasoning and boil gently for about a half hour until the liquid is reduced and has created a thick sauce. 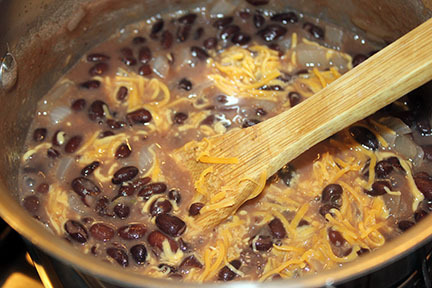 Stir in the cheese and enjoy! 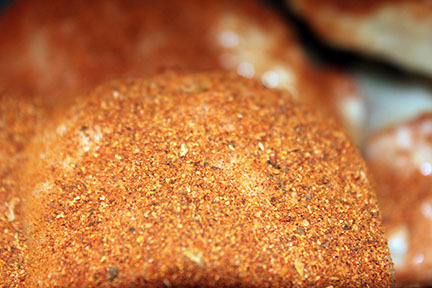 The Honey Chipotle seasoning is absolutely delicious and beautiful! 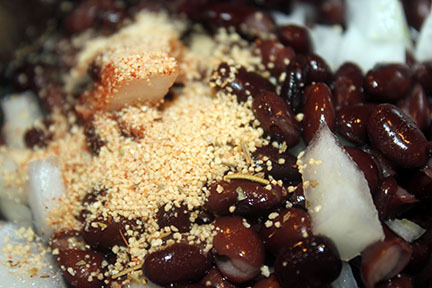 It adds a sweet spiciness that is addictive!!! I served tacos using corn tortillas, black beans and blender salsa.